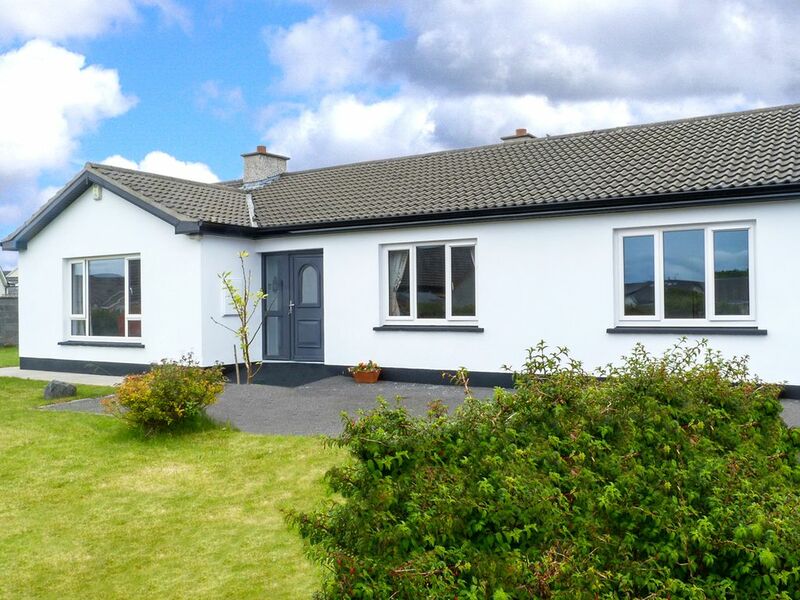 Situated in the seaside resort of Bundoran, just 5 miles from Ballyshannon and 18 miles from Donegal Town. This is a cosy holiday home on a quiet residential estate. It is nicely furnished with free Wi-Fi and Seaview's. It is within walking distance of the beach popular for surfing. The town has a splash world indoor pool, a cinema and amusement arcade. Locally you can go horse-riding on Tullan Strand, walking excursions on Benbulben and golfing at the links course.Shop. Pub. Restaurant 176 yards. Beach 800 yards. GF: lounge, kitchen/diner, utility room, double, double with single, double with single bunk above, bathroom with shower over bath.Electricity and oil central heating included, open fire with starter pack, linen and towels included, No Smoking, travel cot, high chair, TV, dvd player, radio, CD, fridge/freezer, microwave, dishwasher, w/machine, dryer, internet access, hairdryer, fully enclosed garden, enclosed private courtyard, patio area, bbq, swings, private off road parking. One small pet welcome.